The latest Masonic leader of the counter-church flashes the Illuminati signal that he connected with the hidden hand, the Eminence Front. It is recommended to print one copy and make photocopies off of that. Please distribute to all clergy, nuns, etc. 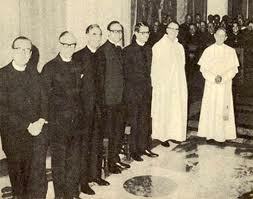 Most Catholics don't even know what Fatima is, let alone what occurred in the 1960's. April 16, 2008: White House Rose Garden Ceremony for Judeo-Masonic Anti-pope Benedict XVI, hosted by Freemason George Bush 43. 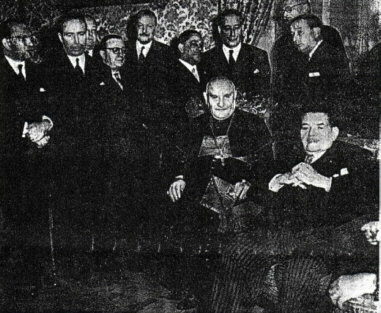 John XXIII (1958-1963) with fellow occultist Jose Escriva (left), who founded the Opus Dei Cult in 1926. 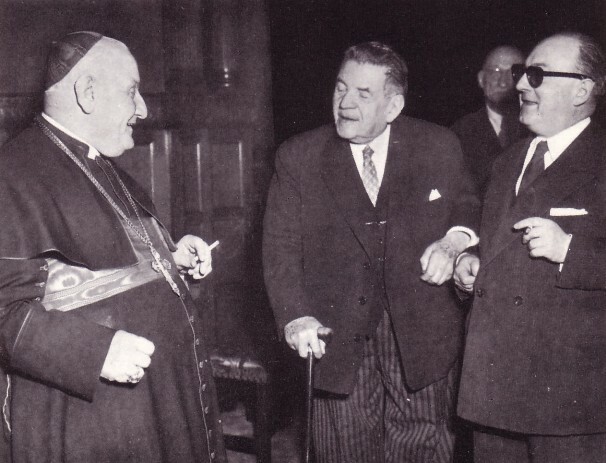 The “Vicar of Christ” (1958-1963) has a cigarette with men who, well, probably aren't in Heaven with the Mother of God right now. 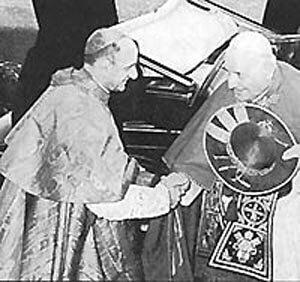 John XXIII giving a Masonic handshake. 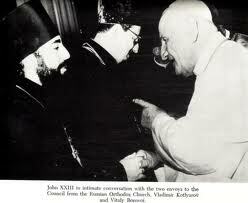 John XXIII giving another Masonic handshake. 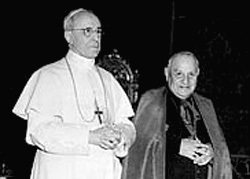 Anti-pope John XXIII (1958-1963) with Cardinal Montini who would become anti-pope Paul VI (1963-1978). 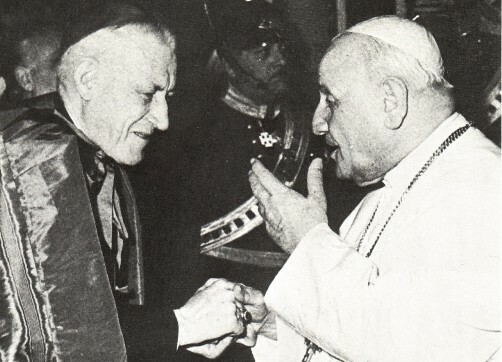 Yet another anti-pope Paul VI Masonic handshake. 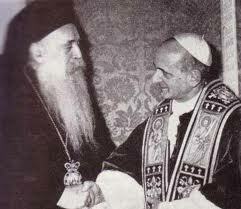 Paul VI with the Lutheran (Lord-worshipping heretics) who helped design the Novus Ordo Mass at the Vatican II Council. 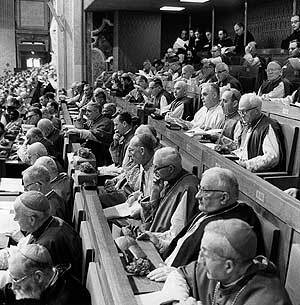 At Vatican Council II, Fr. 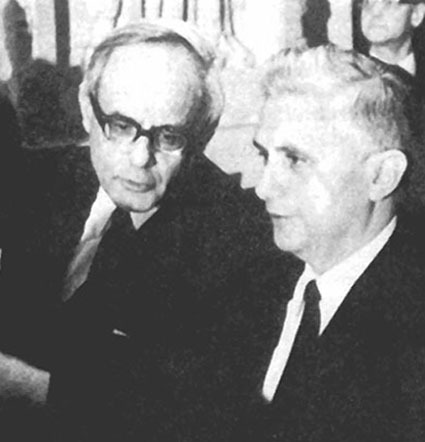 Joseph Ratzinger (above right) receiving orientation from his mentor, progressivist theologian Karl Rahner. 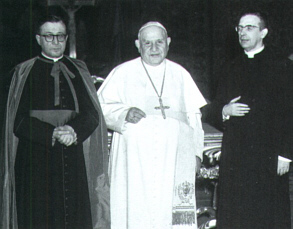 Future anti-pope Benedict XVI (Ratzinger) showed up in a suit. 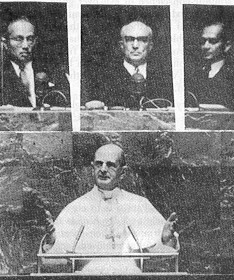 Montini (a.k.a Anti-Pope Paul VI from 1963-1978): a key "architect" and the non-authority bearing "promulgator" of the Apostate Vatican II Council, pictured giving a speech on October 4, 1965 at the Masonic United Nations. Montini in his address to the United Nations, called that godless monstrosity [The UN] "the last, best hope of mankind..." not surprisingly he received a standing ovation from the Wilsonian Democracy Pushers/Atheistic Communist packed house. 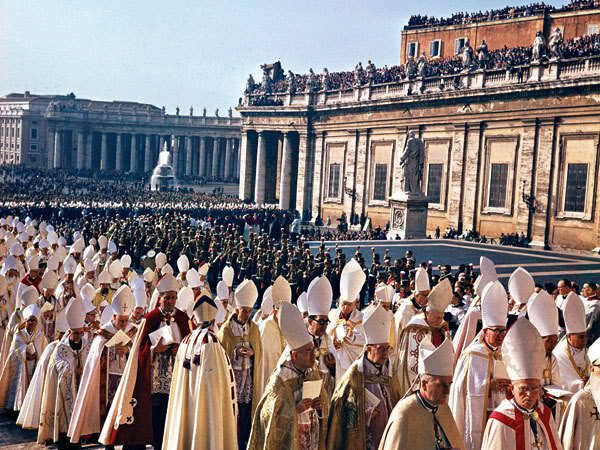 The Vatican in the 1960's: After 19 Centuries of infiltration, Freemasonry and the occult finally accomplishes its objective to destroy the Mass, the Sacraments, and to rewrite the Catholic Faith in a way that benefits their Worshipful Master, Lucifer. How many are ravenous wolves in sheep's clothing? About 90%. This is why Our Lady requested the Third Secret of Fatima be released before 1960, when it would make more sense. Gadaffi with Freemason brothers Obama, Tony Blair (U.K.), Nicolas Sarkozy (President of the French Republic) - all initiated as heretics. Stalin, Napoleon, Mozart, Ford?, Marx, George Washington. Yes, they're all in the same anti-Catholic boys club. WHY DO FREEMASONS DO THIS? It's just that simple as Pike, the Pope of Freemasonry tells us. These disgusting, proud men essentially sell their souls in exchange for the Devil's promises of god-like status in Hell where they are told they will escape the punishments and basically, have a good time. Have you ever wondered where the demons of hell come from? 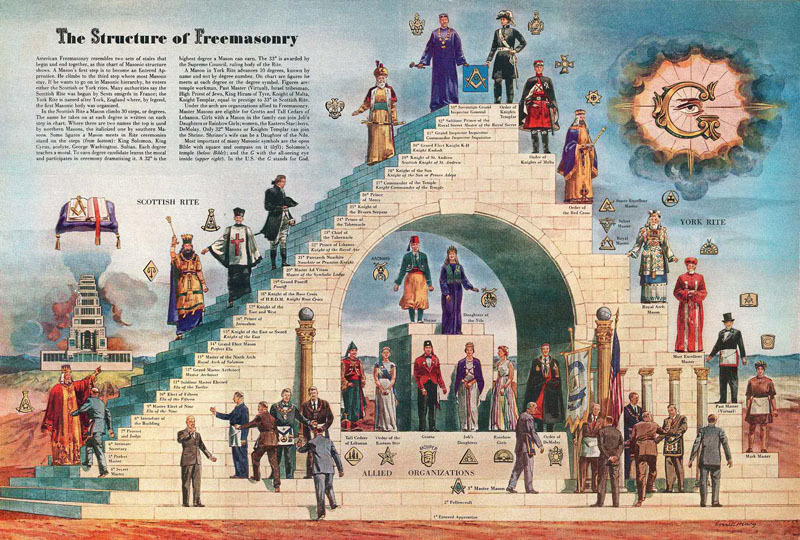 They are formerly living Freemasons. Their victims? The poor sinners they deceived into Hell, who fell into heresy. For example, if a low level Freemason who sells his soul for his banking connections only managed to convince 10 people in his lifetime that the Dogma of the Catholic Church was irrelevant, that Freemason will only have 10 souls under his authority in Hell. He will find himself as a low-level manager in Hell, toward the bottom of the pyramid, under the command of some other Freemason who took his blood oaths more seriously. His victims will be his subjects for an eternity. Those poor 10 sinners will find themselves enduring the pains of hell and gnash their teeth for an eternity for listening to this guy's attacks on the Catholic Church for a simple, easily corrected sin (or mistake), forgetting that Jesus Christ is God. Then we have the example of the Freemasonic politician. For example, George H.W. Bush is a 33rd Freemason. He knows the secret of the 33rd Degree and has decided that he wants to use his association to attain political power. In this agreement for selling his soul to the Devil, he gets what he wants in this world, but also uses the bully pulpit to thank 'God' and 'Jesus', which is the Arian heresy. Since he is “for Jesus,” the populace, unaware of this most serious heresy, follows him because he appears to be 'Christian' because after all, he is 'for Jesus'. Then he goes to annual meetings at the Bohemian Grove, worshipping a 40 foot owl called Molech (a semitic deity from the book of Leviticus) and engaging in mock child sacrifices in an annual ceremony called the “Cremation of Care.” Who knows how many souls he will attain for the Devil, but since so many choose blind, proud patriotism over Catholic unity, the number is quite high. After all, they are powerful, they wear suits, they're influential, and they're Judeo-'Christian'. He is the ravenous wolf in sheep's clothing, and the joke's on you. His boy is no better, nor is Clinton, who is in the same club. What would those in the political paradigm say to Clinton bowing to 33rd Degree Freemason George H.W. Bush? It's time to wake up, people. Another lower degree example is a musician like Ozzy Osbourne. By consciously selling his soul to the Devil, this musician attains fame, fortune, and everything else that comes with the deal. In exchange for these gifts, he is obligated to include at least one reference to “The Lord” on every album. Judeo-Masonic executives consecrate the Master tape to the Devil, the musician gets the contract, “The Lord” heresy spreads wildly on the radio, listeners hear this lie so many times they start to believe the big lie, and the Devil gains countless more souls. The heretical Jesus cross also adds to the confusion. “Lord, I'm Not Ashamed...Shout to the Lord (2).”..not only is this heretical music going to take you to Hell by promoting “the Lord” as God, it's also just really bad music. When 'Protestant Rock' promotes the same Judeo-Masonic Lord religion as Black Sabbath, it should become apparent why there is no salvation outside the Catholic Faith. Once you excommunicate yourself, it's nothing but Hell for you (and some really bad music). Christ only has one Church, only one way to administer the Seven Sacraments. Once you are tempted to leave, you're on your own. 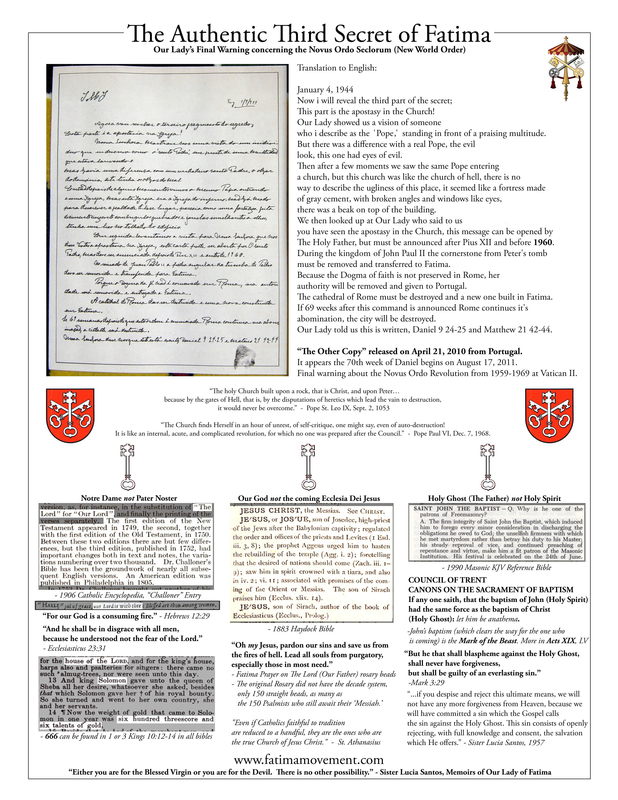 Even more sinister is a White, Anglo-Saxon Protestant (W.A.S.P.) Masonic preacher who starts his own “congregation.” These wolves are even more dangerous because they deceive old ladies with the “testimony of the Bible” a.k.a. “The Lord is God (and the Lord commands you to love your neighbor).” How do you fight this? Especially when they are capable of filling stadiums with hundreds of thousands of people on command. For example, Pat Robertson is into Masonry, and claims he has conversations with “the Lord” on a mountaintop, every year, where “the Lord” reveals to him what is going to happen in the coming year. Pat Robertson looks like an everyday American Conservative, Christian-Right leader, but is in fact, a Luciferian. 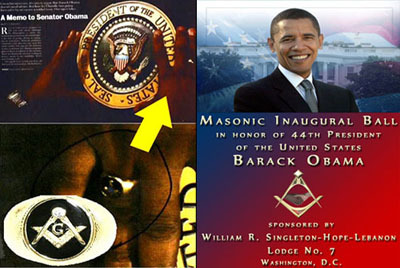 Predictions for 2009, 2011, MHFM on his Masonry. Billy Graham is a 33rd Degree Freemason as well. Pat Robertson, while looking legitimate, is poised to achieve a very high rank in Hell because of his widespread ability to promote Freemasonic heresy to so many people watching the 700 club worldwide. How many sheep who lost interest in the Rosary are eating potato chips and watching this heretical garbage? 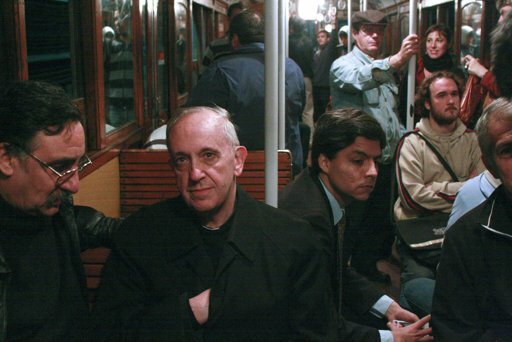 Left: John Paul II, March 26, 2000. 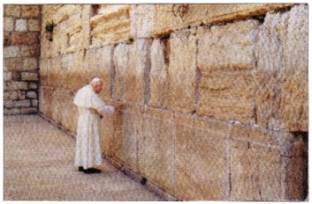 First Vicar of Christ in Catholic Church history to visit the Wailing Wall in Jerusalem, Israel. Jews flock there to this remnant of the Temple of King Herod to pray or wail for their coming Christ. This is an outrage. The destruction of the Temple in 70 A.D., leaving only this ‘Western Wall’ of it’s foundation has always been understood by Catholics to signify God’s judgment on the Jews. This destruction by God meant their religion had come to an end and they were supposed to enter the Catholic Church. Abvoe right: Benedict XVI, August 19, 2005. 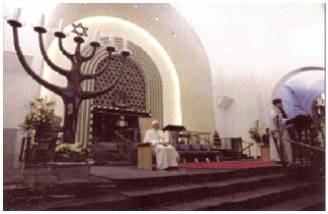 Second Vicar of Christ to publicly take an active part in Jewish Lord worship. Benedict made gestures, such as bowing his head and clapping his hands, to show his approval and participation in the Jewish service. 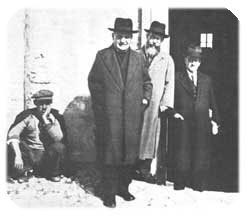 He joined the Jews in the Kaddish prayer, and Yiddish music blared in the background.